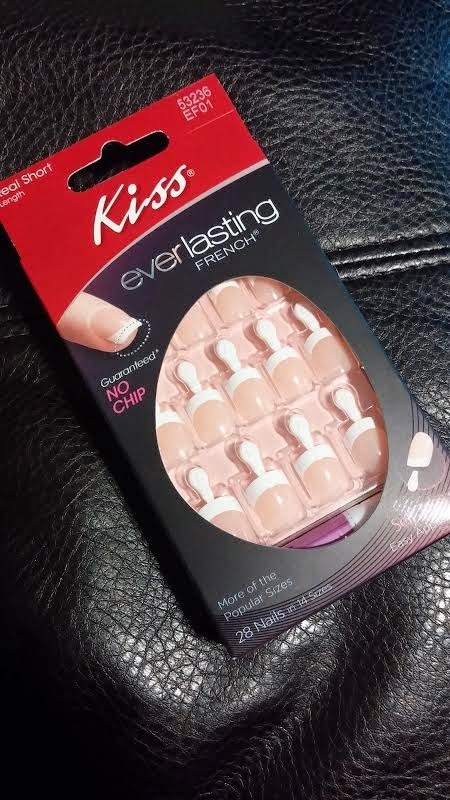 I received some nails in my last Influenster VoxBox and decided to try them out. I can't recall if I've ever tried this exact type before, but I can tell you that Kiss is my go-to brand for fake nails. I have always loved them as they're easy to put on, and stay on for a great amount of time. 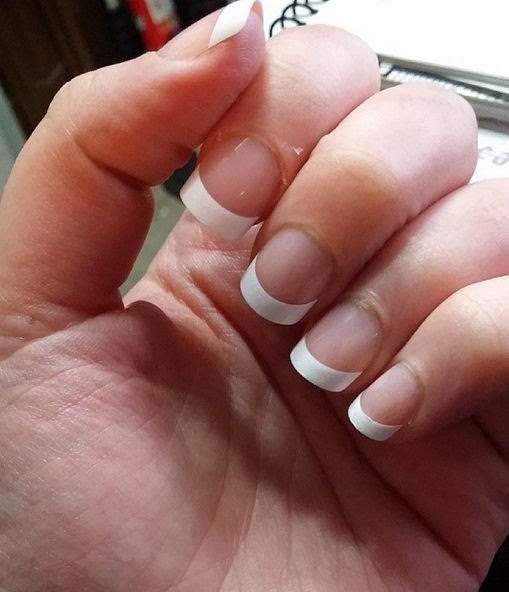 The fact that these are already french-tipped makes it that much easier because you don't have to paint them or anything! These come with little snap-off tabs, which is really helpful when it comes to placing them on your nails when they're covered in glue. It seriously only took me 8 minutes to put them on, and that's pretty awesome - no fuss! I also love that they come in a short length - when you're not used to wearing nails, long ones all of a sudden can be a huge pain. And hey, I'm typing this with no problem! Another huge factor is that the white on the tips doesn't chip or wear off. That's always one of the main reasons I hate REAL french manicures, because they only look good for a couple of days. These suckers will go strong for a week or so before I take them off. *Disclaimer: This product was sent to me by Influenster for review purposes. All opinions are my own.